Honey Sing New Look Out Ready To Do Come Back After 4 Year: Yo Yo Honey Singh is known as King of the World of Music from last 4 year he was not seen in any video music came out. Recently a new look of Honey Singh has created a sensation on social media. Honey Singh is ready to do come back again to bang music industry. Honey Singh is going to be doing a single performance after four years. He is coming soon with a new video. Honey Singh has shared the first look of Song from his Facebook account and wrote that "This is Honey Singh's first look. After 4 years I have been singing a music video. "Along with this, Honey also wrote that it is India's largest music video and it is filmed in the Cuban capital Havana. 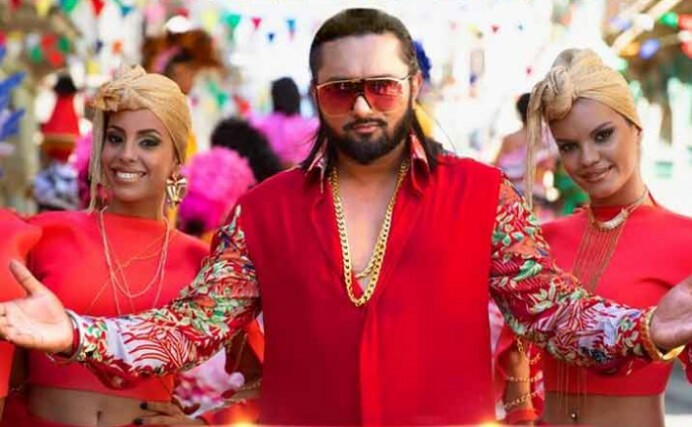 Honey Singh has released the album 'Urvashi'. So far, 'Urvashi' Song has been seen more than 50 million times. Kareena Advani and Shahid Kapoor were seen in this song. Honey Singh has given many hit song at the pick of his career, he came under the scourge of an illness. After which he had disappeared for a long time from the music world. In 2017, he told about the conflict between Biopolymer disorder and alcohol addiction. There were also reports that he was admitted to the Drug Rehab Center for his treatment.